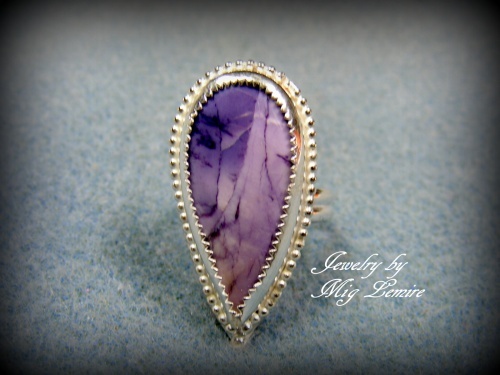 This absolutely gorgeous Bertrandite gemstone ring is so dramatic. The colors just show up so dramatically against the sterling silver framework. Piece measures almost 1 1/2" long and a little over 1/2" wide. Size 6 1/2.